Genetically modified foods such as soy and corn may be responsible for a number of gluten-related maladies including intestinal disorders now plaguing 18 million Americans, according to a new report released on Tuesday. The report was released by the Institute for Responsible Technology (IRT), and cites authoritative data from the US Department of Agriculture, US Environmental Protection Agency records, medical journal reviews as well as international research. “Gluten sensitivity can range in severity from mild discomfort, such as gas and bloating, to celiac disease, a serious autoimmune condition that can, if undiagnosed, result in a 4-fold increase in death,” said Jeffrey M. Smith, executive director of IRT in a statement released on their website. Smith cited how a “possible environmental trigger may be the introduction of genetically modified organisms (GMOs) to the American food supply, which occurred in the mid-1990s,” describing the nine GM crops currently on the market. In soy, corn, cotton (oil), canola (oil), sugar from sugar beets, zucchini, yellow squash, Hawaiian papaya, and alfalfa, “Bt-toxin, glyphosate, and other components of GMOs, are linked to five conditions that may either initiate or exacerbate gluten-related disorders,” according to Smith. 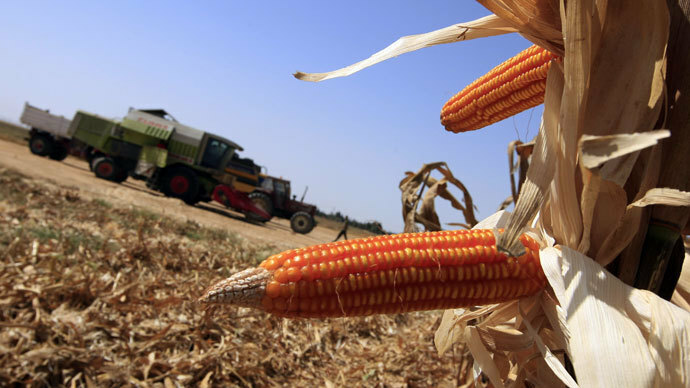 It’s the BT-toxin in genetically modified foods which kills insects by “puncturing holes in their cells.” The toxin is present in ‘every kernel’ of Bt-corn and survives human digestion, with a 2012 study confirming that it punctures holes in human cells as well. The GMO-related damage was linked to five different areas: Intestinal permeability, imbalanced gut bacteria, immune activation and allergic response, impaired digestion, and damage to the intestinal wall.